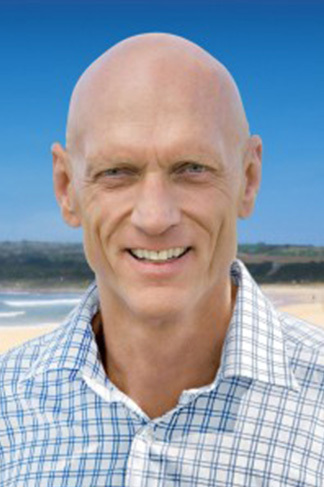 Peter Garrett was elected as the Labor Member for Kingsford Smith at the 2004 federal election. In 2007, he was appointed Minister for the Environment, Heritage and the Arts following the election of a Federal Labor Government on 24 November. On 8 March 2010, following a restructure of the Department of the Environment, Peter was sworn in as Minister for Environment Protection, Heritage and the Arts. Following the 2010 federal election, Peter was sworn in as the Minister for School Education, Early Childhood and Youth on 14 September 2010. Widely known as a passionate advocate and campaigner on a range of contemporary Australian and global issues, he was the former president Australian Conservation Foundation, an activist, and former member of Australian band Midnight Oil. He received the Australian Humanitarian Foundation Award ( environment category) in 2000, and in 2003 received the Order of Australia (Member General Division) for his contribution to environment and the music industry. In 2009, the French Government appointed Peter an Officer of the Order of Arts and Letters. In 2010, WWF Australia and International presented Peter with their Leaders for a Living Planet award.